Dr. Mahoney-Graves joined our staff as a part-time member in 2006 and is a vital member of our team in providing the highest of quality care in orthopedics. She holds a BA in History and Biology from University of California San Diego and a MS and Doctorate degree of physical therapy from Simmons College, Boston. She served on the academic advisory board for the doctoral physical therapy program at Simmons for 3 years. She has volunteered with Handicap International in Kosovo during the development of a prosthetics clinic in Pristina. Dr. Mahoney-Graves has experience with all facets of the continuum of care including acute care, acute rehabilitation and outpatient care. Her clinical strengths include the examination and treatment of patients with lumbopelvic and cervical pain, thoracic outlet, postural abnormalities, and shoulder and foot/ankle dysfunction. 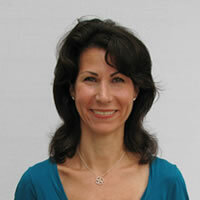 Her treatments include a strong emphasis on manual therapy.